The newly renovated first floor of the Regenstein Library will open fully to students starting October 31, replacing the A-Level as the library’s only place for all-night physics parties and vending machine binges. The change will allow the A-Level to store more than 430,000 volumes awaiting transfer to the Mansueto Library. 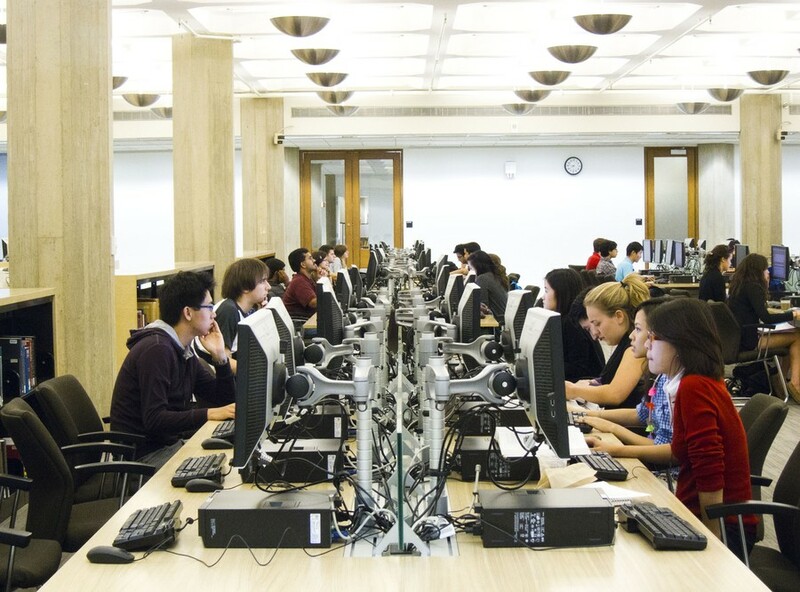 The new space, library administrators hope, will be more accessible to students and more supervised than the A-Level, which some students complained was too loud to study in. The new first floor study space features an entirely renovated reading room with new computers and furniture. Students will also be able to get technical help and borrow iPads, laptops, and power and video adapters from IT Services’ Apple-inspired Techbar, which opened this week. Student-run café Ex Libris will move to the first floor from the basement in November, Assistant Director for Access and Facilities Jim Vaughan said. The coffee shop has been closed for construction since the summer. Vaughan believes that the new space will better accommodate the library’s policies on noise control and study behavior. “We believe strongly that both users and staff share responsibility for creating and sustaining this environment,” he wrote in an e-mail. The first floor will be the only part of the library open from 1 a.m. to 8 a.m., Monday through Friday. Student responses to the new space have varied. “I like what they have done to the first floor, but I miss the A-Level,” second-year anthropology major Jissy Cyriac said. “They don’t have enough space for group study, and I’m concerned the space will not be as useful since that was the main group-study space. Second-year Weston Ungemach said that when he needed someplace quiet to work, the noise in the A-Level could be problematic.